Dr. Faith Brown recently joined the VoiceAmerica WorldTalk Radio (www.voiceamerica.com) family, thus adding Radio Personality to her resume. 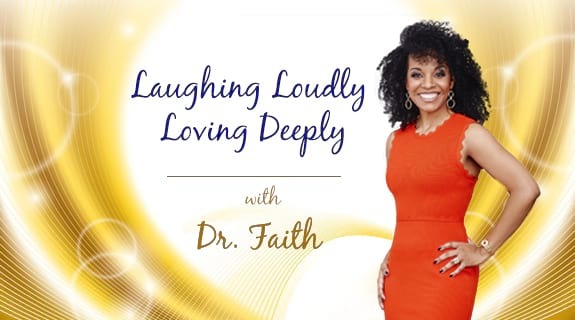 Her show is entitled, “Laughing Loudly Loving Deeply with Dr. Faith” on the Empowerment Channel. Her inaugural show will launch on Tuesday, April 4th at 11:00am EST so mark your calendars and turn on your notifications. The show will air every Tuesday at 11:00am EST. Please join her as often as you can. You’re sure to take away a few gems to help you learn to laugh a little louder and love a little deeper! Listen to Dr. Brown’s program here! The show will air every Tuesday at 11:00am EST. Dr. Brown invites you to join the conversation. A frequent guest on talk radio programs, Dr. Brown offers advice on a variety of subjects: career, love, personal growth and more. Click on these links to listen to some of Dr. Brown’s recent radio recordings.